PENN YAN--The annual StarShine Christmas celebration was held in the Penn Yan, Saturday, Dec. 1. 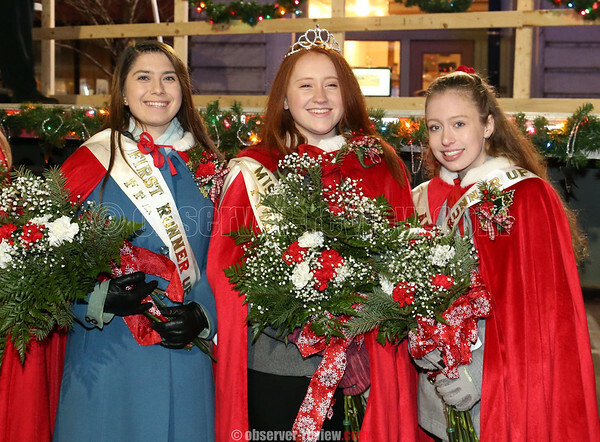 Along with many holiday themed events on Main Street, Miss Penn Yan for 2019 was crowned at the event. Riley Dallos was the winner, followed by Triana Burgos-Farnan as first runner-up and Grace Worth as second runner-up.